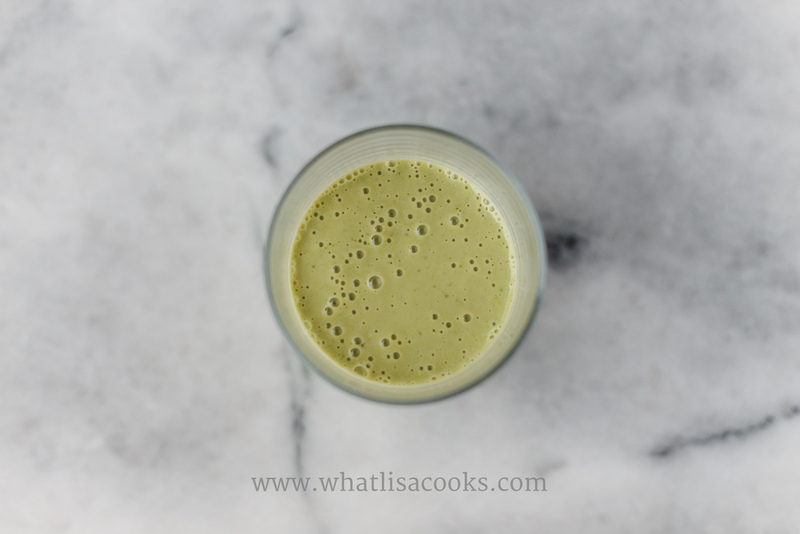 This is a bright and fresh tasting green smoothie to start off our day with a little extra energy. I think half my kitchen freezer is full of frozen fruit. Plenty of smoothie recipes call for fresh fruit, but I just like it better with frozen. I buy extra bananas and just let them ripen on the counter, then break into pieces and freeze. I also recently had a glut of oranges that we weren't going to get to, so I peeled and cut them into chunks and froze, and I've been using those in smoothies. I try to avoid using juice in my smoothies. It just adds a lot of sugar without all the other nutrients from the fruit. Instead I prefer to whole fruits and then add other liquid as needed. In this one today I used my homemade almond milk. Ingredients are approximate. This is a big smoothie - enough for me and four kids - so if you're just making it for yourself I would probably cut this down by at least half. Blend in a high speed blender until totally smooth.